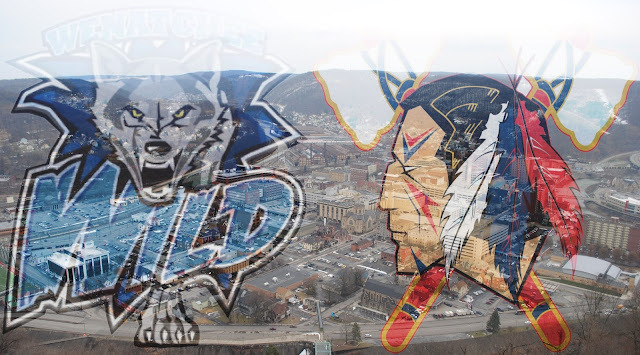 There's a saying in hockey, "you can't win in the first period but you can loose in the first period" and that's exactly what happened last night at the Cambria County War Memorial. In the first period Wenatchee looked like a team from the NHL playing an ECHL team. They were faster, bigger, hit more, made great passes, and got everything on net. They also scored two goals in the period, the second being the game winner. What looked like a long night ahead for Johnstown turned into a hard fought game. In the second period, Mitch Hall, off the faceoff blasted one by Robert Nichols. It was a shorthanded goal assisted by Cody Gylling. The team began to use the body, they started to move their feet instead of watching, they made smart plays which resulted in many scoring chances and they would out shot the Wild 23-22 after ending the first trailing, 14-4. Cody Boyd played one of the best games I've seen him play for Johnstown this season. He seemed to get to every lose puck first, he backchecked relentlessly, and he took the body every chance he got. Cody Gylling not only got an assist on the only goal of the game, but he also dropped the gloves vs Chris Kerr. This was Gylling's first fight of the season and first in the NAHL. Chris Truehl did everything he possibly could to keep the team in the game. After Wenatchee came out of the gates on fire, the second and third periods they didn't seem to be as good, and at times began to be out played. If the Tomahawks can put together a full 60 minute game tonight there is no reason why they can't take two points from the weekend. Andrew McDonald didn't get on the scoreboard tonight, now taking his pointless streak to ten games, but boy did he play a solid game. Like Boyd, McDonald hustled all night, which lead to a few breakaway chances. If he keeps working as hard as he did last night he should bust out of this slump in a major way. Wenatchee was 0 for 6 on the power play. Johnstown was 0 for 5 on the power play. You can check out the entire boxscore here. With the lose Truehl's record now stands at 13-9-4 with a GAA of 2.66 and a save percentage of .915. Look for both goalies to start in net again tonight. Wenatchee's coach told Mike Mastovich of the Tribune Democrat that his team played terrible. Read the whole story here. Here's the official NAHL Pre Game Notes. Basically, every stat you could ever dream of wanting. Hopefully for Sunday's blog post we'll be talking about how great it was to beat Wenatchee and take two points. I guess we'll have to wait and see. If the Tomahawks are able to sell out tonight's game, it'll be the sixth time they've done so this season. On nights where the CCWM is sold out the 'Hawks are 0-5. Ouch.